Weight loss pills that have a combination of more than one active and diverse ingredients that work by different mechanisms are a better choice. Equally important, always consider any side effects. Know the difference between over-publicized ingredients and those that work. Think twice before using free trial samples of diet products. Look for clinically proven ingredients. Whether you are trying to lose a few pounds, some baby weight, or need to lose a lot, finding something that works for you can be a challenge. 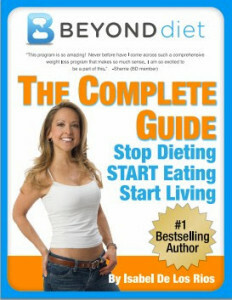 Millions of people every day use some sort of diet pill to help with weight loss or to supplement another diet program. Searching the internet will bring you to pages and pages of diet pills, all advertising to be the one. So how do you know what works? Truth is every person is different. And there is great probability that what works for one does not work for another. Besides, different diet pills have different mechanisms of action. Some work fast and you lose weight quickly but then you gain it back pretty soon too if you discontinue taking it. While some are slow to show the results. Then there is safety issue as long term use of certain weight loss pills is also associated with certain dangerous side effects. To make an informed decision, you have to know how diet pills work. Diet pills broadly and generally fall into these categories: calorie-burners, appetite suppressants, calorie-blockers and long term hormonal optimizers. Calorie-burners, also called thermogenic fat burners increase the amount of burned calories during exercise or daily activity. Appetite suppressants block the hunger signals from the brain, “suppressing” your appetite. Calorie-blockers try to block calories from fat or carbs like Xenical etc., but are usually accompanied by some nasty side effects like oily stools etc. 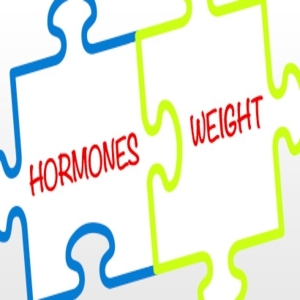 Hormone optimizers like HGH based supplements try to optimize and transform your endocrine profile so as to improve your body’s potential to burn fat and train the body to start storing less fat. Calorie-burners, also known as thermogenic fat burners, increase the body’s ability to burn calories. The body takes the food we eat and breaks the food down into calories that it needs to keep the body functioning normally. The process is known as thermogenesis. It takes the calories that we ingest, converting it into energy and heat to support the body’s many systems. Weight gain happens when we give the body more calories than it needs to function properly. The leftover calories then become fat and are stored in the body for later use. We burn calories every day by doing different activities such as walking, exercising, or other strenuous activities. Calorie-burners enhance or increase the amount of calories we would normally burn, making it easier to lose weight, even without exercise. They make the body need more fuel for it to function and so it starts burning the body’s fat reserves to meet the demands. This results in weight loss. Sounds good, right? Well, these types of weight loss pills do have side effects. The directions and precautions should be read very carefully. Most products of this type have ingredients such as caffeine, ephedrine, and phenylpropanolamine. They can cause the jitters, elevated blood pressure, and even strokes and death. Ephedrine and phenylpropanolamine have been removed from most diet pills in the United States, but it is always best to check the active ingredients in the products. Can you train your body to start burning more calories, NATURALLY? Yes, it is possible and the effect is no less than using these thermogenic fat burners. And it’s simple. Have more muscle in the body. 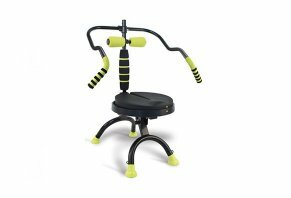 One of the most effective approach towards weight loss can be that instead of focusing on losing weight, one focus on gaining muscle via workouts like lifting weights, resistance exercises or HIIT (high intensity interval training) and trying to keep the calorie intake the same or even reduce it. This will help because muscle burns more calories than fat and will also improve your insulin sensitivity, thereby helping you require less calories to survive. Another way is to add more protein in your diet. Because Protein, will not only help you build more muscle – key in boosting the metabolism – but actually increases your metabolism more directly. The body burns more calories processing protein than it burns to process carbs or fat, known as the thermic effect of food. One of the biggest issues of dieting is being hungry and wanting to fill that need. Appetite suppressants help to minimize those feelings of hunger. 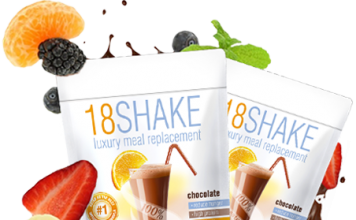 It is great for those who seem to feel hungry all the time or want to not eat as much at mealtimes. However, for most people it is a short term solution. Unless people want to take these kinds of pills on a long term basis. In that case though, you should chose something which is effective and safe (for long term use) at the same time. The brain is responsible for telling the body what it needs and when it’s hungry. It is part of our basic survival needs such as shelter, heat, and food. Neurotransmitters in the brain, such as dopamine, norepinephrine, and serotonin, tell it when the body requires more food for energy or heat. That is why we feel hungry. When the body has enough, we then get that full feeling. Appetite suppressants increase the amount of neurotransmitters that control hunger. This tells the body it has enough food, making you eat less. Eating less means less calories we put into our body. This type of diet pills also can have some disturbing side effects. The same neurotransmitters that help to suppress hunger, such as norepinephrine, also help to control blood pressure elevations. Other possible side effects that can occur are constipation, dry mouth, and insomnia. Some famous pills to look for are phentermine, or Duromine, and sibutramine, or Meridia. To stress how potentially dangerous the types of side effects can be with some strong appetite suppressants, read this – how phen-fen caused deaths and how it was banned. Most appetite suppressants already existing in the market and/or the new entrants into the field require a prescription to be sold. Those available over the counter have moderate effects as compared to their prescription counterparts but also come with far less side effects. Duromine is one of the most popular appetite suppressants in Australia. However, this diet pill is only available by prescription. As mentioned before, Phentermine is a popular appetite suppressant and is a generic term for the chemical compound which is now used in several appetite suppressants. Although other brands with the same active ingredients are on the market, phentermine based pills like Meridia, Adipex, Qsymia, Belviq, Duromine are still among the most often looked for in diet pills. Approved by the Food and Drug Administration, the doses of these kinds of pills may range from 15, 30, and 40 mgs. Appetite suppressants are currently prescribed by doctors to treat extreme cases of obesity and they help very well in dealing with one of the most common causes of obesity, that is snacking between meals or mindless eating throughout the day. A doctor’s prescription is required. If it does not target your hormones and other factors comprehensively, especially the leptin and insulin resistance you might be having , then they are not be going to be much effective, no matter how strong the appetite suppressant is. These kinds of pills try to block the absorption of the calories ingested in the body. If you intake the calories, but if the body can’t absorb it, and can’t use it, it’s much pretty much like that you haven’t eaten anything and thereby you lose weight. 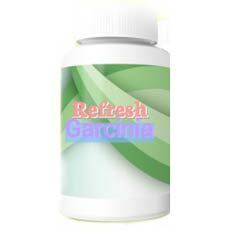 Comprising of ingredients like orlistat, kidney beans, guar gum, etc. they supposedly either block the absorption of ingested fats by inhibiting lipase, the enzyme that breaks down dietary fat in the intestine or they bind with the fat or starch themselves which is then eliminated from the body. They may have side effects like Xenical and Alli are famous for oily stools. Empirical data on these kinds of diet pills is small and they have had their fair share of bashing from the FTC. 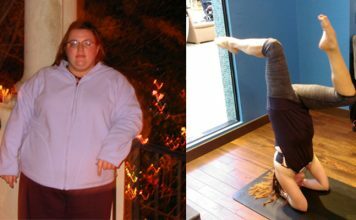 All in all, this is not the most effective strategy to lose weight and definitely not a long term solution that you can stick to for long or something that you would keep your weight away for good. Modern research now reveals that your hormones have a far greater role in defining your physique and appearance than expected. These hormones govern how much body fat or even muscle will you have. Think thyroid, testosterone, estrogen, human growth hormone, leptin, insulin etc. Of these, the relationship of thyroid and weight loss is well documented. However, it requires a thorough analysis by an expert endocrinologist. And testosterone’s role in men and estrogen’s role in both women and men is also very well known. And recently there has been a good deal of research on how human growth hormone can affect body weight. Interestingly, the Master hormone of your body, ie. Human Growth Hormone has the potential to keep all other hormones in proper balance for your overall health. And it’s the latest choice of powerful weight loss and metabolism enhancement even by celebrities like Sylvester Stallone. As many bodybuilders would tell you, HGH just keeps you ripped. So, the latest entry into the weight loss pills scene are hormone optimization products, especially the HGH supplements that increase growth hormone naturally, and transform your endocrine profile comprehensively and target the various body mechanisms simultaneously to help you lose weight. For most people, being overweight is usually the result of many factors, not just one. There might be food addiction involved or several complex reasons why your food intake is more. Besides your eating habits, your overall hormonal profile might be such that favors gaining fat. 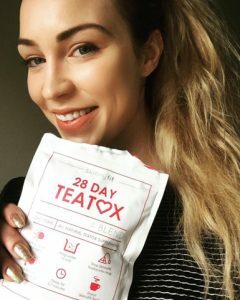 To tackle both the problems simultaneously, you’ll have to have a pill that works both as an effective appetite suppressant, and with extended usage has the potential to optimize your hormones for weight loss and anti aging. However, such a pill would be too difficult to manufacture and currently, I can’t think of any weight loss product that does this. However, it’s possible to use different pills together for your use. While other combinations in a single pill are possible, for example it is more easy to find a diet pill that targets at least 2 other factors except “hormonal optimization” eg. “appetite suppressant” and “thermogenic fat burners” can be combined in one pill. When using any diet pills, always be aware of possible side effects. Some pills may be safer than others. One reason for this is that not all products have been clinically tested and may have harmful ingredients. You may wonder about the heavily publicized diet ingredients like acai and hoodia. Even though they may be considered safe to use, it does not necessarily mean these ingredients work for everyone overall. These natural ingredients are only somewhat effective in weight loss, with very little science backing them. RELATED Lipozene review - is it Good for weight loss? Does this glucomannan based fat blocker pill work? Apart from that, once these ingredients got popular over programs like Dr. OZ, several companies jumped to meet the demands for them to cash in on their new popularity. Unfortunately, this led to several lower quality products entering the market and with their shady marketing tactics. Many companies marketed products that had only a nominal amount of these natural ingredients like acai and yet advertised them on the list of active ingredients while the effectiveness remained highly questionable. You should never try anything until you are sure of the company behind the product, actual costs that will be incurred, safety of the product and its possible side effects. Also, most free trials require recurring membership after a few days and the price will be taken from your credit card shortly after ordering them. 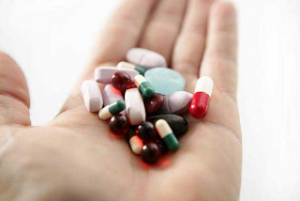 Manufacturers should have proof of clinical trials done on their products. Their products and the active ingredients should also be found on credible sites such as PubMed. Either way, it is always better to check for patented ingredients prior to purchase. Excess weight results from more than one factor. Several contributing factors may be responsible. Because of this, all factors should be thoroughly considered. Overeating is probably one of the main reasons for weight gain. Poor eating habits from early on left uncorrected can lead to further problems later on in life such as binge eating, mindless overeating, and giving in to reward eating. In this area, appetite suppressants would obviously work well. Suppressants tell the body that it is already full and more food is unnecessary. This greatly reduces caloric intake. However, appetite suppressants can’t cure your addiction to things like MSG and junk food. Besides, there might be a number of psychological reasons involved in your over indulging. Insulin and Leptin insensitivity and the state of your hormones also govern how much food you intake. Your hormones and the biochemical processes are very complex and are at work in making you fat. In fact your hormonal profile first decides how much body fat and muscle you will have. And then you are given unconscious signals in your eating habits by the brain to maintain that kind of body fat and muscle profile. In other words, you might not be getting fat because you eat more, you might be eating more because you are getting fat. Slow metabolism rates can also account for added weight gain. With a slow metabolism rate, eating less or restricting fatty foods is useless. The body will not be able to burn up the calories fast enough. So just what is metabolism? Metabolism is a process of converting food we eat into energy. 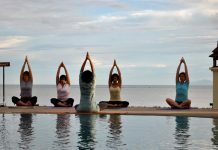 It involves the incorporation of what we eat and drink with oxygen as a way of releasing energy into the body. Even at rest, the body continues to function. Systems like breathing, heart function, cell repairs, circulation, adjustments to hormone levels, etc. all continue to work while we rest or sleep. Higher metabolism rates break down food quicker, transforming it into energy instead of fat. This means the body stores less fat. It is important to know that incorporating some type of exercise such as walking or aerobics or anaerobic exercises and resistance exercises will also give a boost to your metabolism. This is good to remember when using fat burners. Obesity is a complex process and scientists are still trying to understand the phenomenon and what actually causes it. Truth is there can’t be one simple reason for it. 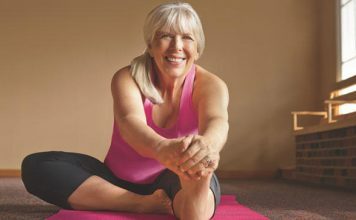 However, most fitness experts and doctors agree that your hormones play a much larger and comprehensive role. One of those hormones is leptin. This hormone secreted by your fat cells sends a signal to the brain that we have enough energy stored, and we don’t require any more. The problem is when you become leptin resistant, the brain just can’t see the leptin’s signal. Even if you have enough of fat cells and energy stored in the body, your brain thinks that it requires more food and energy. Insulin plays a huge role in obesity because it blocks the leptin signal. Insulin also sends signal to all the fat cells in your body to keep hoarding the fat and to keep looking for more fat. All in all, chronic high levels of insulin can pretty much sabotage your weight loss goals. Interestingly, Human growth hormone has a lot to offer here as HGH is inversely related to insulin. According to Dr. Lustig, excess dietary fructose from added sugars is one of the leading causes of both insulin resistance and leptin resistance, and insulin resistance leads to chronically elevated insulin levels. In fact, high fructose content in diet has the potential to alter your metabolism and mess up with your hormones. Inactivity can be another contributing factor. Inactivity can also be caused by many issues such as chronic fatigue, loss of motivation, and low energy levels. So regular exercise of some form is important. Previous articleBelviq reviews: Is it the best weight loss pill for you?